You must register for parking when you attend an event on campus. 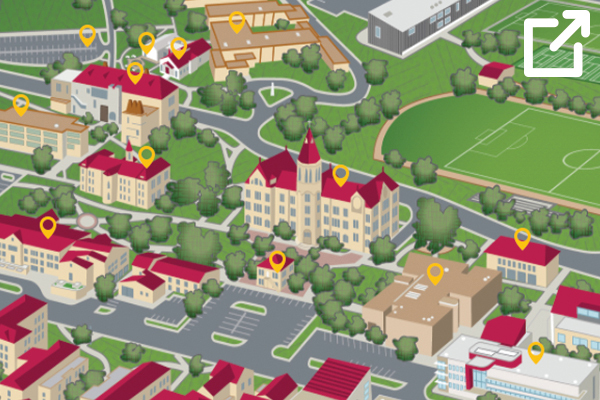 The event parking registration portal provides event-specific information on when and where you can park on campus. View a list of nearby hotels. From southbound Loop 1 (Mopac), exit at Loop 360. Stay on Loop 360 when it changes to Highway 71 East. Exit at South Congress Avenue. Turn left on South Congress Avenue. Turn right on Woodward Street. Our campus will be just ahead on the left. Turn left at the first campus entrance, Andre Drive. From southbound I-35, take the Woodward Street exit (number 231). From northbound I-35, exit at Ben White Boulevard. Remain on the access road until you reach Woodward Street. Head west on Woodward Street. The campus is ahead on the right. Turn right at the second campus entrance, Andre Drive.